I know it's almost the end of the month, but I need to tell you that quite a few of your entries have apparently not registered on Mr Linky's list this month. So if you thought you entered and wondered why none of the DT have been round to visit you, chances are your entry did not register with Mr Linky so you will need to do it again. Just go the the Mr Linky entry widget as usual, enter your project..............we realise that some of them may be entries from earlier in the month but given the circumstances these will not be viewed as back linking............and please make sure you can see your entry box before you navigate away, if you can't see it then neither can we and won't be able to comment on your entry. Happy Sunday crafters, I'm here to announce our two In the Spotlight entries for January and wow, did we have problems whittling our favourites down to two. Natali entered two stunning creations showing versatility with the same stamp, here's what the DT thought "Love the white on white, it shows off the beautiful image so well" and "the white on white has been balanced perfectly with the subtle colour"
I started my crafting journey long time ago.. Knitting, Crochet, Cross-Stitch (it was my first big love ))) and 6 years ago when I was mummy-to-be I met new friends at some “new mummies” forum” and they invited me for some challenge: “make cards and send to birthday girls from team” It was fantastic.. I didn’t have that time any stash for card making (here in Malaysia it was no popular that time) but had BIG wishes to do that. )) In 2009 my husband presented me Big Shot and I “open my wings” ))) lol Only in 2011 I decided to open my blog and share my projects with everyone (was not sure and scare before )) lol) I am so happy I did it finally because I met here so many fantastic people which inspire and support me. Thank you so much each and everyone. 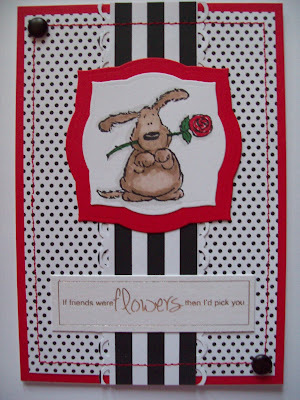 Thank you Brenda and Design Team of “Penny Black and More” Challenge Blog who voted for my card. It was absolutely amazing news I was chosen to “spotlight” here. I wish everyone all the best!! Enjoy your crafting and have fun!!! Lai-Yoke's fabby entry cleverly combining two stamps, this is what some of the DT said "Great sample of versatility of this stamp and gorgeous simplicity" and "Love the simplistic elegance of the card and the clever way she combined the two images"
First of all, I would thank the talented Design Team of Penny Black and More for choosing me as “Spotlight” of the month. Although I was born in Malaysia, I spent my teenage life in Singapore and now happily married to a dutchman and taking care of two children in The Netherlands aka Holland. We love travelling and have been very fortunate to been able to live in Finland and Austria for a couple of years! 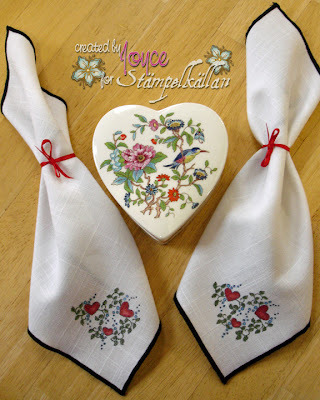 I’ve always love art and craft; currently I am into designing and sewing bags, stamping and occasionally crochet. 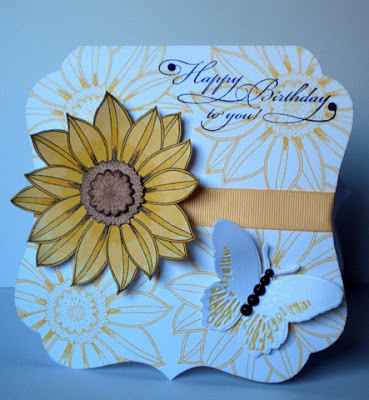 My main creative pursuit at present is definitely cardmaking as there are so many possibilities for completing a mini “artwork”! 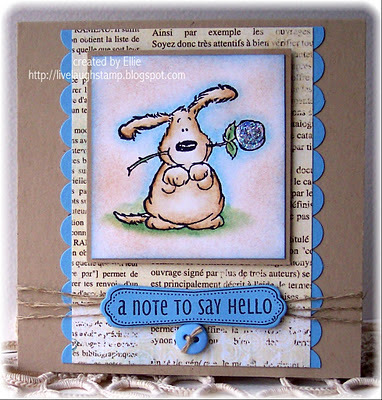 I started making cards when I was a teenager with color pencils, scissors, and glue without any tools such as stamps or inks. My images were usually cut from newspapers and magazines. But ever since I was exposed to the stamping world in 2006, my addiction cannot be stopped. 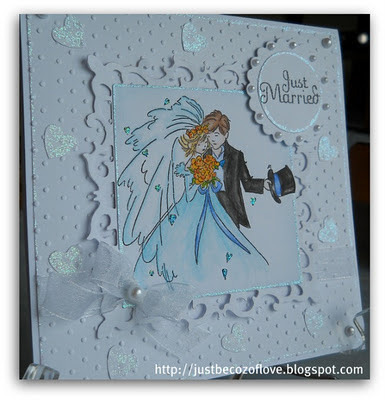 My style leans towards clean and simple look but now with a diversity in card making techniques, I love to try them all. 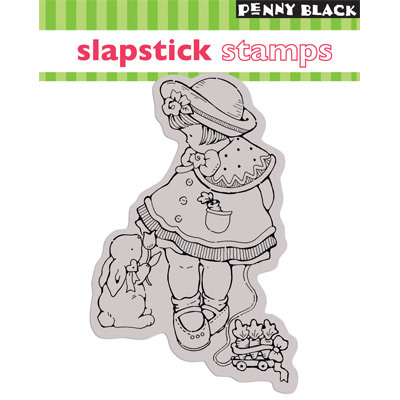 Penny Black’s range of stamp styles is so wonderful that anyone can find what they are looking for, especially with the new release of London Collection which I find them so cool. Thank you so much for this “spotlight” opportunity! 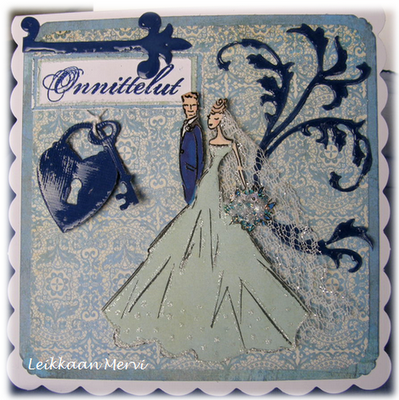 Isn't it lovely when crafters share a little bit about themselves with us and give us an insight into their crafting journey, thank you for taking the time to do so and our congratulations to you both for your wonderfully inspirational work. 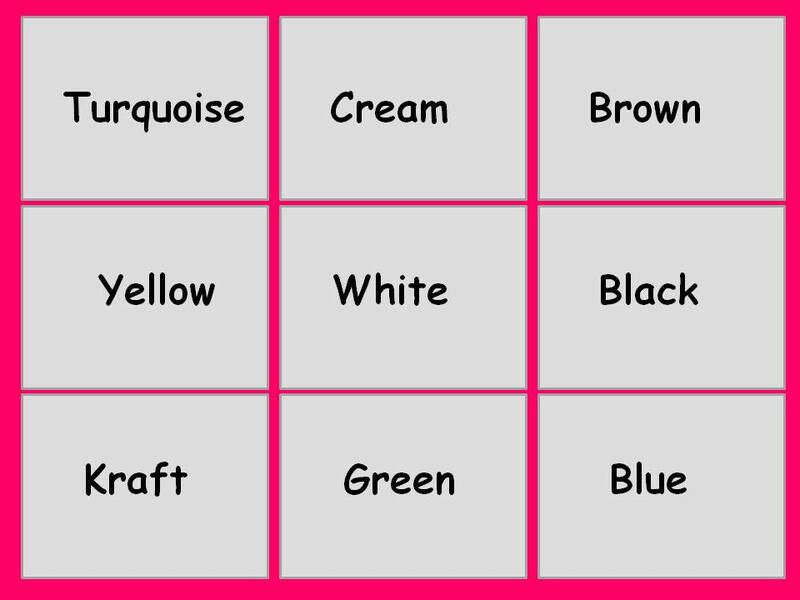 Don't forget there is still almost two weeks remaining in which to join in our February colour bingo challenge and as always some fabulous prizes on offer, so we do hope you will find time to join us. Good Morning and welcome to our February Challenge. 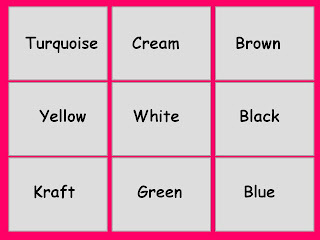 This month we are inviting you to Play Bingo.................but with a little twist as I have come up with a colour bingo grid........i thought it would be fun to try something a bit different and I would love to hear what you think to the idea. The same principal applies where you choose a line going in any direction and then work with those three colours. * You can enter up to three times. * Use any make of stamp. 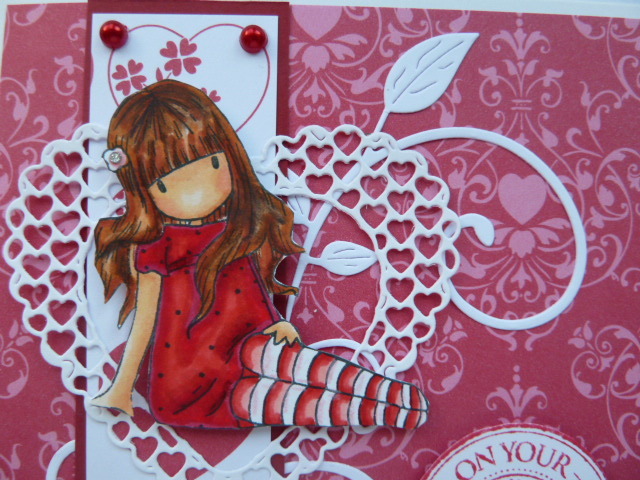 * Entries using a Penny Black stamp will be eligible for an extra prize draw. * All entries will be eligible for our "In the Spotlight" feature. * No digi images allowed. * This challenge will close at midnight on 29th February. 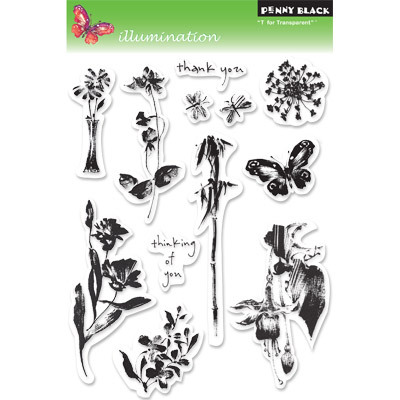 Lots of you will know that the big USA trade show CHA which took place last week, always sees the launch of the Spring Collection of new Penny Black stamps. Here are a couple of sneak peeks of some of the beautiful cards on display in the Penny Black booth which give you a little taster of what is to come. Stamps will be available from your local stockist in about three weeks time, but you should be able to pre order so you can be amongst the first to get your hands on them. Already in store are the fabulous London Collection and if you have not already checked them out what are you waiting for as early indications are they are going to be in great demand with the upcoming Olympics which we here in the UK are so proud to be hosting. And we also have the Queens Diamond Jubilee which will be celebrated the first week in June, so it's going to be a busy Summer in London this year. So it's over to you to go create and share your wonderful work with us. 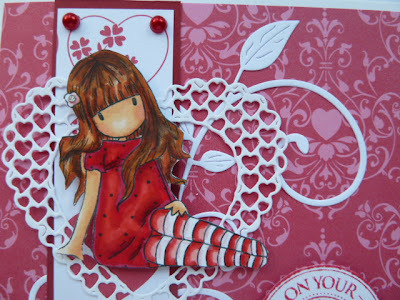 Sir Stampalot our regular sponsor for the winning entry using a Penny Black stamp will have all the new stamps in store any time now, or you can pre order as soon as they pop up here and that's the place you will find everything new and inspirational for 2012. So many prizes this month and here is another from Letraset who are back with us this month. They are always coming out with new and innovative products so do keep your eyes on their website. 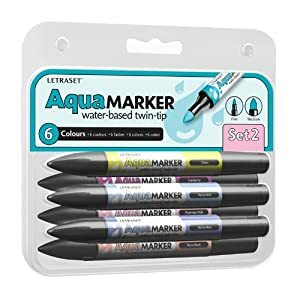 The prize from them is the Spring set of Aquamarkers, their fabulous watercolour system. These are my colouring medium of choice and I know if you try them you will be hooked as well. Hello all our crafty friends out there, what an absolutely fabulous January we had with you entering your wonderful Love and Hearts pieces of artwork by the hundreds. We were mega excited to see so many of you and extend our thanks to each and every one of you for helping make is such a great month. Congratulations to you all, so well deserved, please all mail me with your full postal addys to brenda@ibas.co.uk so I can get your prizes off to you. And don't forget you can all pick up our winners button from our sidebar and wear with pride on your blogs. Don't forget to check in on Sunday 5th for details of your new challenge and of course lots more prizes.